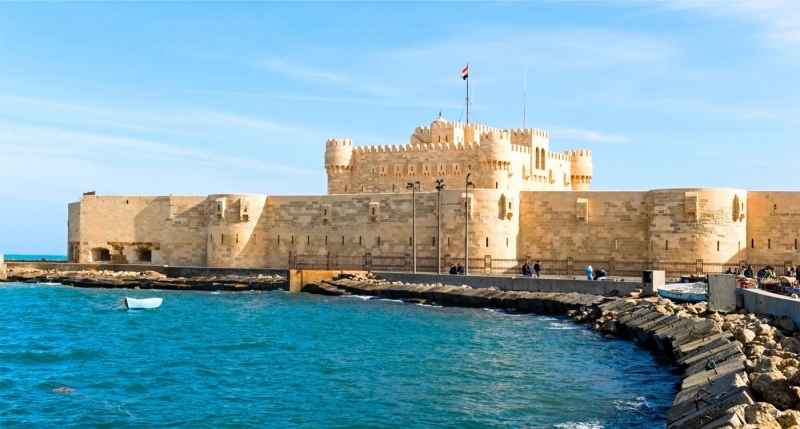 A 20 kilometre-long palm tree-lined esplanade and boulevards, swish hotels, long stretches of fine sandy beach and gardens characterise Alexandria, widely considered to be one of the finest summer resorts in this part of the world. Unlike many other areas of Egypt, its cultural heritage, climate of warm summers, mild winters and pleasingly warm spring and autumn months and its cosmopolitan atmosphere give it a Mediterranean feel. 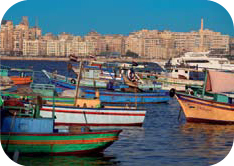 Alexandria is known as the ‘Pearl of the Mediterranean’. 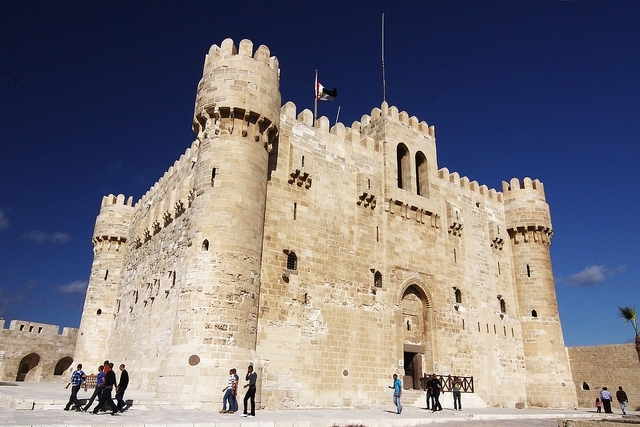 Egypt’s second largest city with a population of around four million, Alexandria is the country’s largest seaport and the centre of much of its maritime activity. It is also one of the oldest cities in Egypt and lies around 225 kilometres northwest of Cairo. 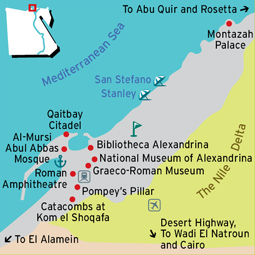 As records suggest, Alexandria was established by Alexander the Great in around 332 BC on the site of a small village called Rhakotis. He wanted to create one of the finest capital cities in the world, and one for which his reign would go down in history. 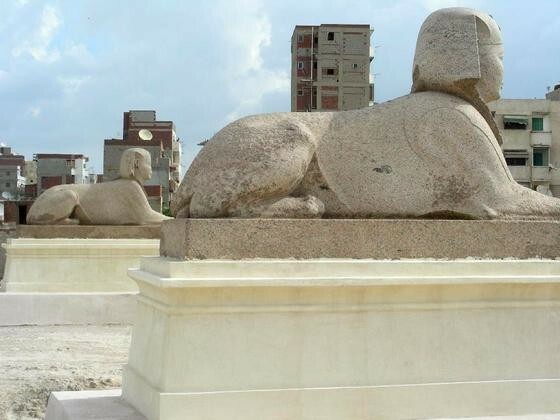 Alexandria remained the capital of Egypt for nearly a thousand years and was immensely prosperous because of its strategic trading location between the Mediterranean and the Red Sea. 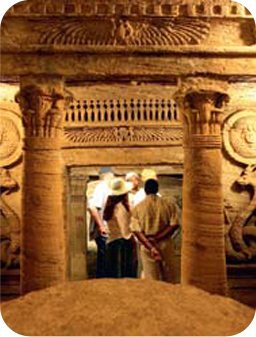 It also became the centre of learning for the ancient world, and retains its academic importance to this day. Among the sights for visitors to see is the beautiful Montazah Palace, which is perched on a hill overlooking the sea. It was once the summer home of the Egyptian royal family and now houses a museum in their honour. Built to a Turkish and Italian architectural design, it stands in some of the prettiest gardens in Alexandria. They are open to the public and well worth a visit. Holidaying visitors flock to Alexandria for its good diving sites, and its beaches which are among the best in Egypt if not the Mediterranean. Its most famous are the beaches of Al-Ma’moura, Mandara, Al-Assafrah, Mami, Sidi Bishr and Montazah, as well as Sidi Gaber, Rushdi, Stanley, Gleem and Cleopatra. 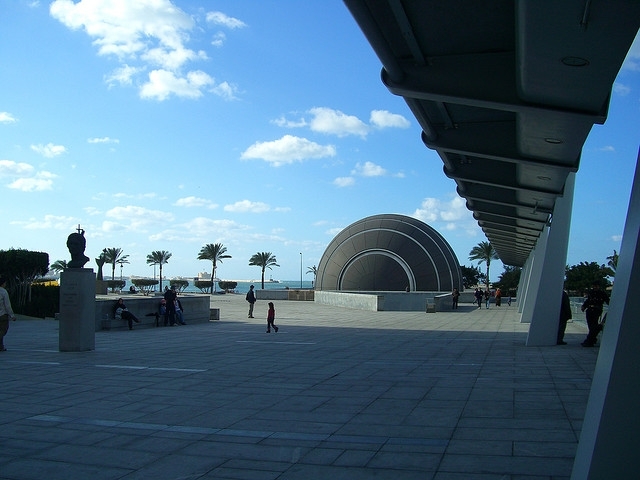 All are dotted along the corniche, the seafront boulevard. 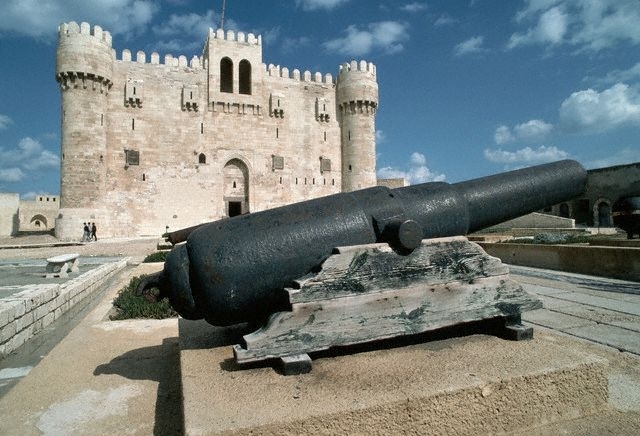 Qaitbay Citadel, a turreted fortress that was built in the 15th century on the site of the Lighthouse of Alexandria, one of the Seven Wonders of the Ancient World, is a ‘must see’. It is said that stones from the original lighthouse built in the 3rd century BC on an island in the harbour were used in its construction. Excavations in the harbour continue to this day, and recently there have been more ancient stone found which in all likelihood once formed part of the lighthouse’s structure. The city has many mosques too, the most notable being the Al-Mursi Abul Abbas with a towering minaret and domes that dominate the city’s skyline, and the 14th century Al-Attareen Mosque. 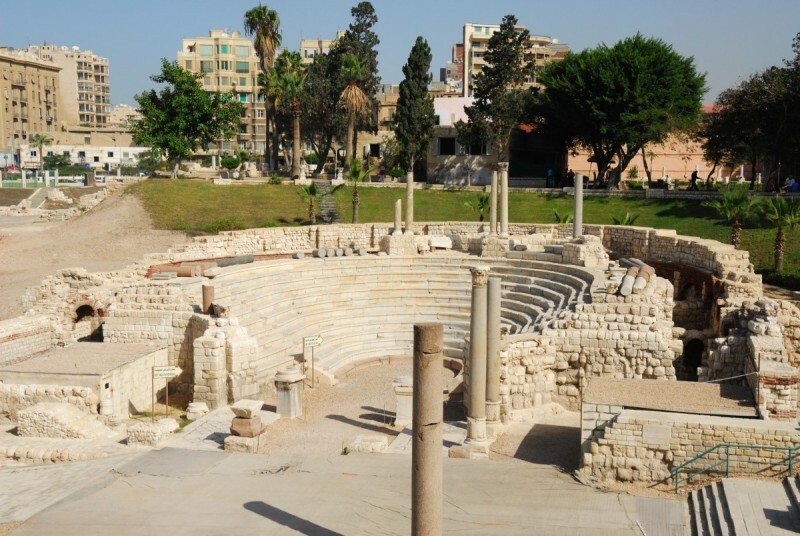 The Graeco-Roman Museum, located in the heart of modern Alexandria, houses an impressive collection of 40,000 or more artefacts found in and around the city, some dating as far back to 332 BC. 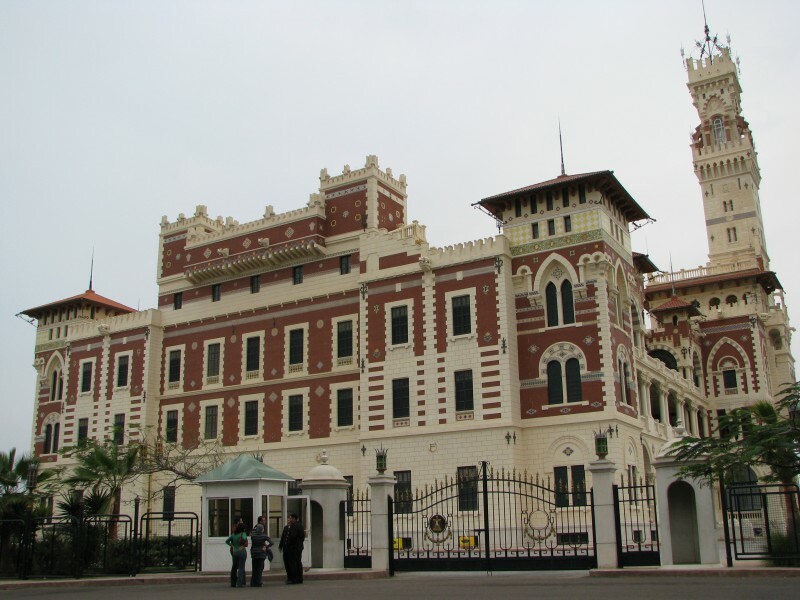 The museum was founded in the 19th century, quickly became an important exhibitor of ancient artefacts and remains a key amenity in Alexandria today, along with the National Museum of Alexandria. 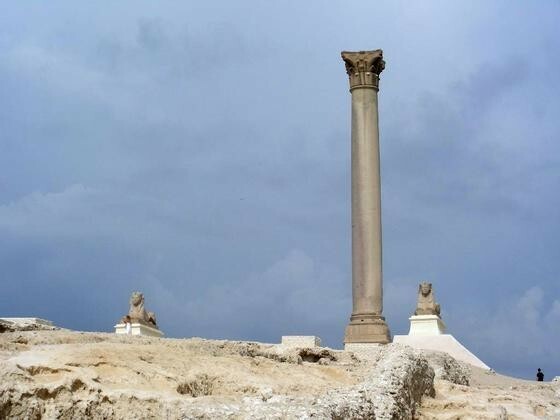 Alexandria also has lots of archaeological sites too, including a Roman amphitheatre at Kom Al-Dekka, a Serapium pillar dating from the 3rd century known as Pompey’s Pillar, the ancient catacombs at Kom el Shoqafa that show a mix of Pharaonic and Greco Roman art, the Al-Shatby Necropolis site and a series of tombs. The city, however, while celebrating its glorious past also has a thoroughly modern approach to providing facilities for its residents and visitors. This is supremely evident in the opening of the Bibliotheca Alexandrina, an important library and cultural centre designed to put Alexandria back on the academic map. 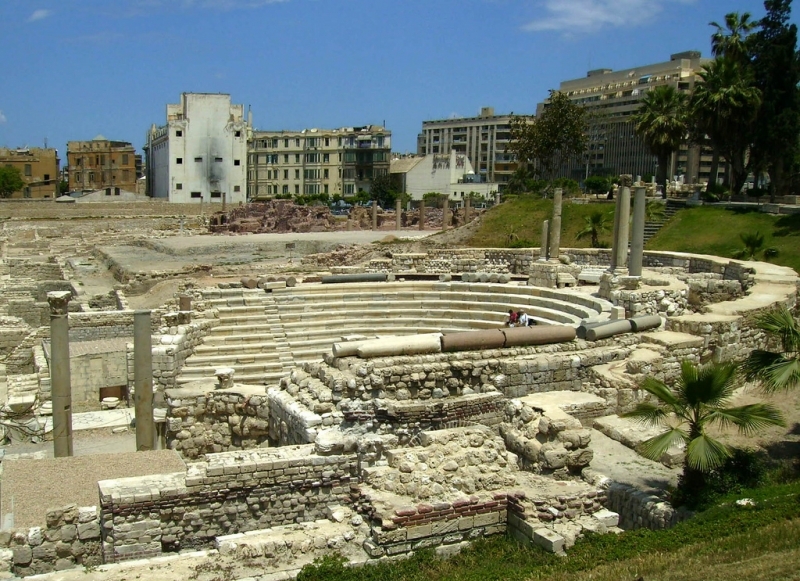 It stands near the site of the ancient Library of Alexandria dating from the 3rd century, which was considered to be the largest library in the ancient world. Among the famous scholars who studied here are mathematicians Euclid in 300 BC and Heron in 62 AD, and philosopher and astronomer Eratosthenes in around 200 BC. 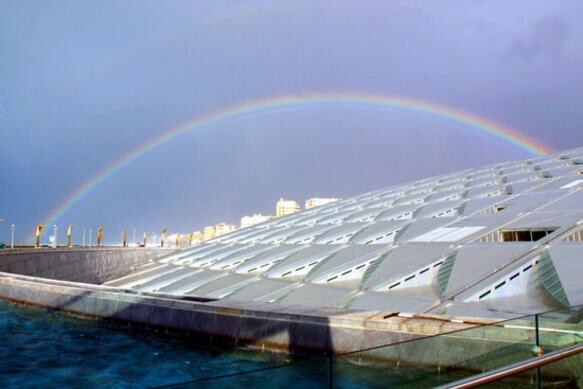 The Bibliotheca Alexandrina opened in 2002 following a competition organised by UNESCO to find the best architectural design for the commemorative building. A futuristic design was chosen, complete with a glass roof angled so that it faces the sea. There are specialised libraries for children, those who are blind or visually impaired and the young, along with sections dedicated to the arts, multimedia, audiovisual, microforms and rare books. This extraordinary facility also has four art galleries for temporary exhibitions and a further nine for permanent displays, three museums dedicated to antiquities, manuscripts and science, a planetarium, internet archive, a manuscript restoration laboratory and seven academic research centres. Its cultural centre has nine screens for projection presentations, and an interactive environment. It is a fabulous facility for the people of Alexandria, an award-winner and considered one of the leading such centres in the world.